As a family caregiver you do not want to think about your aging parent suffering a health issue or injury so serious that it would require them to visit the hospital. Unfortunately, for many elderly adults, visits to the hospital to seek treatment for chronic health conditions, illnesses, or injuries is not uncommon. In fact, it is not unusual for a senior to be seen in the hospital once or more each year. While hospital treatment can be extremely important for elderly adults to help them cope with the problems that they are facing, this can become an issue when they are returning to the hospital too frequently. 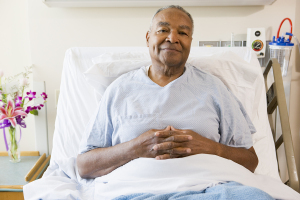 Hospital readmission is a situation when a person returns to the hospital within thirty days of being discharged. While there are some situations when this is necessary and important, there are others when it is not and can lead to a variety of issues. Experts estimate that as many as 25 percent of seniors are readmitted to the hospital within 30 days and up to 75 percent of these readmissions are avoidable. * Confusion about what your parent is really coping with and the potential for over-medication or receiving treatment for the same condition from different medical teams. Being a family caregiver for an aging adult can be extremely challenging and stressful. This can be especially true if you are a member of the sandwich generation caring for both your children and your parents, if you live at a distance from your parent and are not able to be with them as frequently as you would like to be, or you have your own challenges in limitations that keep you from giving them the care that they need on a consistent basis. If you are dealing with these challenges, now may be the ideal time for you to start home care for your parents. A caregiver provider can step in to provide care when you are not able to, handle specific care tasks that you are uncomfortable with or not able to handle effectively, give your parent more companionship, or simply to encourage a more active and fulfilling life as they age in place. This is not only extremely beneficial for your parent, but can ease your stress and help you to devote your time, energy, effort, and resources in the best way possible. This entry was posted in Caregiver Oakland TN, Personal Care Tips and tagged Caregiver Oakland TN. Bookmark the permalink.